At Dessa, we’ve been ecstatic to welcome Susan Davis onto our team as our new VP of Engineering! After countless hours of searching, when we met Susan we knew we had found a true master of software engineering, capable of taking our technical chops to an entirely new level. 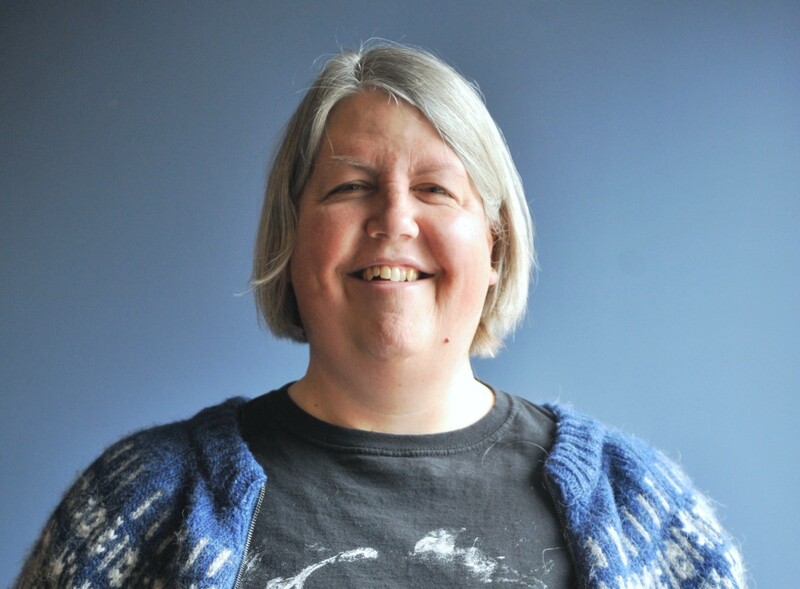 Most recently, Susan was a Director of Engineering at FreshBooks, managing a team responsible for everything from infrastructure to security to data engineering. Before that, she was a Software Engineering Manager for companies including Lightbend and Amazon, and also worked for many years as an Agile coach. In addition to Susan’s remarkable career in tech, we’ve also quickly learned that she has a fascinating range interests, including roleplaying games, opera, and Naginata, a Japanese form of martial arts. To commemorate her joining us, our Communications lead Alyssa Kuhnert recently sat down with her to learn more about her background, beliefs on leadership, and interests. The interview has been edited for brevity and clarity. AK: Hi Susan! To kick things off, can you talk about what excited you most about the opportunity here at Dessa when you first heard about it? SD: I came out of university in the nadir of the AI winter in the early 90s, and where AI is right now reminds me of where software engineering was back then. There was talk of a software crisis, only 35% of projects succeeded, and delivering non-trivial products was a fraught process with lots of risk attached to it. We’ve learned a lot as an industry since then, and AI is ripe for a similar push forward in maturity. Landing at Dessa gives me the opportunity to help shape that. AK: We’re certainly excited to have you here to help us accomplish this. You have a really impressive background in software engineering that would be great to hear more about. What were the opening moves like for you starting out in the industry? SD: I got into computers during the time when they went from being these enormous expensive things that made the Apollo moon landings happen — and I was the biggest Apollo moon landings fan, ever — to being a little box you could have in your house. That was just magic, and I fell in love with microcomputers and programming at once. I took a course in BASIC programming when I was eleven, and I haven’t stopped since. Later on, I had about a 15 year career as a developer and worked on some really cool things. I did a medical image processing spreadsheet that I was the lead developer for. On another project, I worked on finite element analysis software that was used in electronics design automation. And if you’ve ever worked with Enterprise Java Beans, I’m sorry. I’m very, very sorry. It seemed like a good idea at the time [laughs]. AK: Are there experiences you’ve had during your career that have been formative when it comes to your approach to management? SD: The thing that got me towards being a Manager, Director, and now, VP of Engineering was my experience at my last couple of developer positions. I went from developing a one-hour photo lab system for a large photography company in Rochester, NY, to learning how to really build software using Agile methods. At the photography company, we had a team of about 150 people, sharp people as well, hired from all over. The company had this idea that you could develop software in the same way you develop uniform products, and well, that’s not how software works. The result was a disaster. After that, I wound up in Toronto, working for a company that was an early adopter of Agile. The project I worked on was of a similar scope to the photo lab, but only had a team of 15 people. Using Agile, we managed to get software out the door and on a regular schedule, with minimal drama. Fast-forward three years, and I left to go to my first management gig, where I spun up a team of 5 people. Using Agile, in the course of a day we were doing what it had taken 15 people a week to do at my previous company. That was an amazingly powerful experience, and made me realize how much more of an impact I could have by bringing that insight to every subsequent position I ever landed at. And that’s really been my mission ever since. AK: When it comes to leadership, what are some of your biggest beliefs? SD: The chief insight you learn when you’re in management is that it’s not about you, it’s about what you can draw out of your team. Successful managers, directors, technology executives, these are the people that can draw out the best work from people in their organizations. It’s also important to recognize that a gelled team is more than the sum of its parts. No matter how much you might wish it weren’t so, you can never get rid of the forming, storming, norming, and performing curve. It takes a while to get a team really worked up and running at full capacity. And then there’s the nature of the technology itself. Software engineering is fundamentally about managing complexity. Every single choice that a developer or technical employee makes affects every single thing the team does afterwards. That makes it really important to build as much engineering discipline as you can into the way you work. AK: You must have learned a lot about managing complexity when you were a Software Development Manager at Amazon. What was it like working there? My team owned the catalog system that is at the heart of their global network of fulfillment centres. Every single time a barcode gets scanned at Amazon, either by a human or by a piece of machinery, that calls up the system that my team built. I’m really proud of the things that my team did there— it all worked fantastically. When you’re operating at crushingly huge scale, there’s no such thing as not catching an error. So one of the keys to technical success is that it’s vastly cheaper to ship essentially perfect software than software of unknown quality. When you’ve got 7 billion requests coming to your service every day, the one-in-a-million case is going to happen 7000 times every day. And the super impossible one-in-a-billion case is going to happen seven times a day, or at least twice before you get home from work. AK: Serious stuff! That’s incredible. Now that you’re at Dessa, what are some of the things you’re working on as VP of Engineering? SD: There are five things that destroy a team’s ability to deliver software quickly: poor quality, cost of change, bottlenecks, toil, and friction. Left unchecked, they reinforce each other in a vicious cycle. A team that manages these problems well can move multiple orders of magnitude faster than one that lets them worsen. So my first priority has been teaching our development teams the skills they’ll need to excel at preventing those five problems. I’ve also been tightening up our hiring process, to make sure we have a really great candidate experience that yields people who are as good or better than the folks we have right now. I’m over the moon about the quality of the folks we have on board already, particularly the hunger for learning I’ve seen in everyone. Raising the bar on team maturity is a bigger lever right now than hiring for raising our capacity, but we will need to be adding a couple of teams this year, and getting the caliber of people we want takes time. So I’m starting by building the best engineering organization in Toronto, staffing the teams we need to execute on our product roadmap, and delivering that roadmap. Further down the road, I want to build into our products the fruits of some original research into how machine learning and data science teams can best organize to reliably deliver good outcomes. If we can do that, we can help the whole industry do a lot of good. AK: My next question is about hiring. What are some of the key things you’ll be looking for in candidates? SD: The candidates I want are the ones that can demonstrate a track record of learning new skills quickly. I think this is especially important to know if you’re a woman or candidate from a historically marginalized group looking at our job descriptions. When going through them, you’ll notice we have a lot of skills listed on them as requirements or nice-to-haves. Don’t try to go through the list and check all of the boxes. Instead, prove to me that you can learn well, because that’s who I’m looking for. It’s also important that you can thrive working closely on a team, because modern software development is every inch a team sport. You have to be open to doing things like pairing with a pairing partner so you can learn from and bounce ideas off of each other. AK: You have a number of interesting hobbies that we’ve been excited to hear more about since you joined the team here at Dessa. Can you tell us a bit more about them, and, if applicable, how they inform your approach to leadership? SD: I teach Naginata, which is traditionally a women’s martial art from Japan. The weapon itself is a sword blade, at the end of a seven and a half foot pole. And originally they were used by the samurai in ancient Japan until sometime around the fifteen hundreds. I started studying it in 2006, and now I’m the head instructor of it at the Japanese Canadian Cultural Centre. I’m a three-time national champion, and I represented Canada at the last two World Championships. I’m off to Germany this July for the next one. 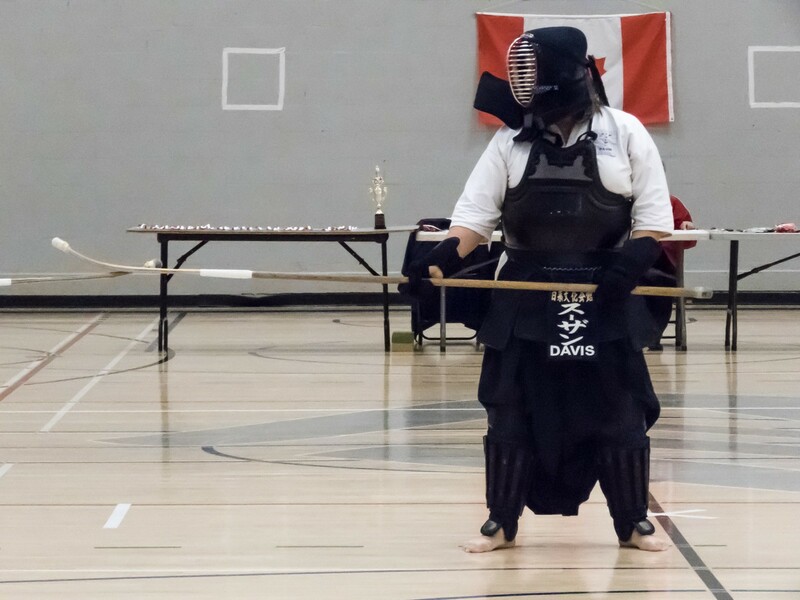 Susan at the Canadian National Championship for Naginata. There’s a concept in Naginata and Japanese martial arts called Shu-ha-ri. At shu, it’s like “put your feet like this with your heels. Put your hips and your shoulders like this.” You do what the sensei says. At ha, you’ve been doing it for a while, maybe ten years or so, and you’ve advanced to the point where you have a style of your own. And then, ri. You are the sensei, you’re able to both perform effectively yourself and to teach others. So as a leader, it’s helped me learn that the way that you go about teaching people at those different levels differs. That’s been a helpful insight for being able to drive to individual and team performance. I also play bass. Bass playing is another good hobby that transfers over into the world of work, because in many ways a good technical leader is like being the bass player of the company. They’re not the ones getting the flashy solos. They’re not someone who’s the front person that everyone thinks of. Instead, they’re connecting the rhythm and the melody together and making it all work together as a whole. Inspired by Susan’s wisdom and interested in learning more about her team at Dessa? Check out our Careers page here to find our latest openings and apply! We’re certainly looking for more Software Engineers to join us. Curious to learn more about our latest moves at Dessa? Good news: we have a newsletter! Subscribe to receive a monthly bulletin of our company’s latest developments and content. There’s also food for thought: as a subscriber, you’ll receive a hand-picked selection of the month’s most intriguing articles and papers on AI from around the web.